Hope Landon has been rewriting other people’s greeting cards since she was six years old — there’s always a funnier caption. She’s all set to chase those creative dreams with her musician fiance in New York City until he leaves Hope at the altar, deciding he must not really love this girl if he can’t write a song for her. That may give her something to write about. Hope disappears alone on what was supposed to be the couple’s month-long honeymoon. Upon returning she learns of her funeral — everyone in her life concluded Hope must have killed herself after being jilted. Needing a fresh start more than ever, she heads for the Big Apple only to discover it’s not that easy to rent a place when you’ve been declared dead. Taking shelter at the YMCA, Hope soon lands a job at a Christian inspirational greeting card company as an assistant to Jake, a guy who shut down his organization’s humor department. She has lost her faith in love; he needs to find something or someone that will make him laugh again. 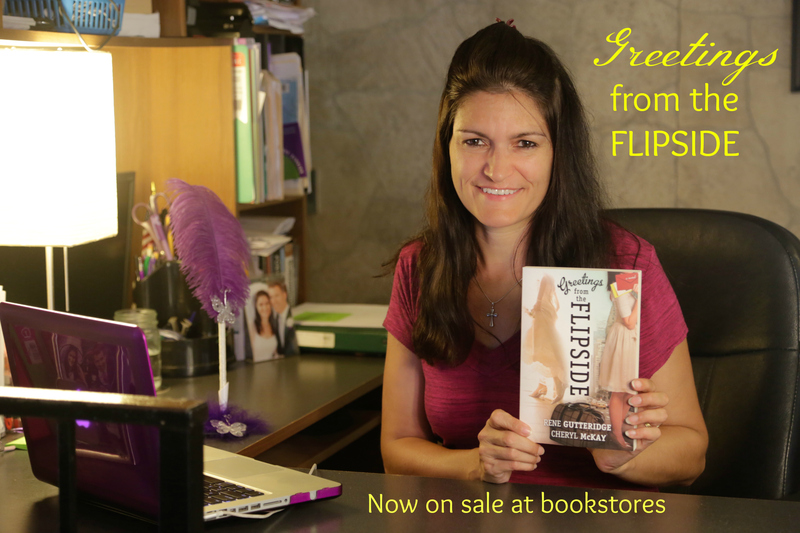 Greetings from the Flipside will stretch your imagination and lead you on a journey with our lead character, Hope Landon, much like It’s a Wonderful Life did many years ago with George Bailey. As you step into Hope’s shoes, perhaps you’ll laugh, cry, and find hope with her to live a full life and chase after your set-aside dreams–and if you’re looking for it, maybe find true love. For anyone who’s read our prior work, Never the Bride, you know we like to think outside-the-box with our romantic comedies. 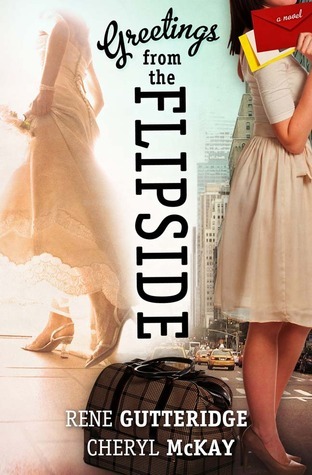 Are you ready to suspend your disbelief and journey with us to the Flipside? If I were to sum up what this book means to me, at its heart, it’s about having hope in the midst of trials and to believe that life will get better again. It’s about how God can “Romans 8:28” anything in your life. 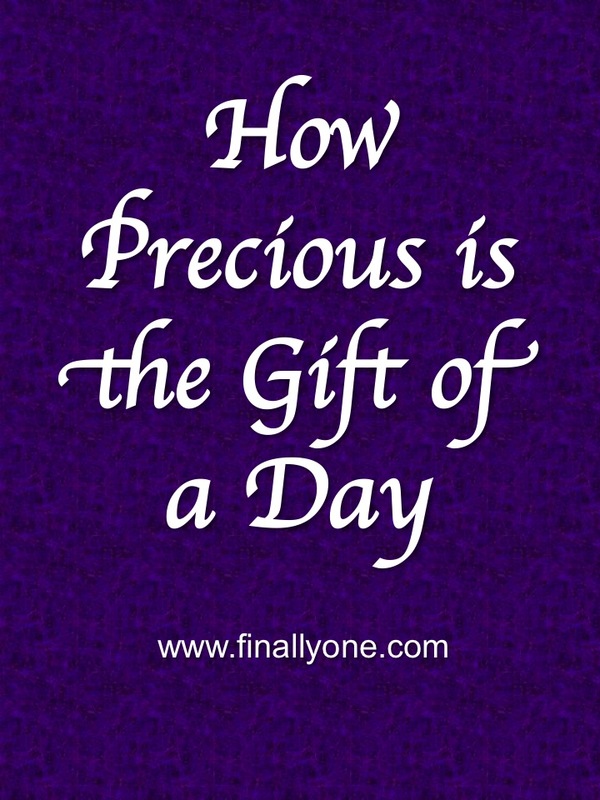 (Yes–that’s a verb now!) He’s able to take those bad circumstances and turn them around for your good. What I love about Hope Landon’s character is she is a fighter, no matter how many bad things happen to her. But she’s honest about it; she doesn’t sugar coat pain. Have you ever gone through something emotionally painful and had someone pat you on the knee and say in that empty way, “Things will get better”? They think they are being comforting while your temptation may be to strangle them. Hope Landon likes to keep it real. But the irony is… she’s a little challenged to know what’s real and what isn’t in her world. Sometimes her life feels like a bad dream. Yet even bad dreams have a way of waking us up to what truly matters in life. Sometimes, they’re not actually bad but have a chance to show us that what we wanted wasn’t what was best for us after all. They can even point us in the right direction. I know for me, many times, I’ve had dreams that helped me heal from painful circumstances or helped encourage me toward a better place in life. If any of these themes resonate with you, we hope you’ll check out our story. Rene Gutteridge and I have been so privileged to work together in such a special and unique way. 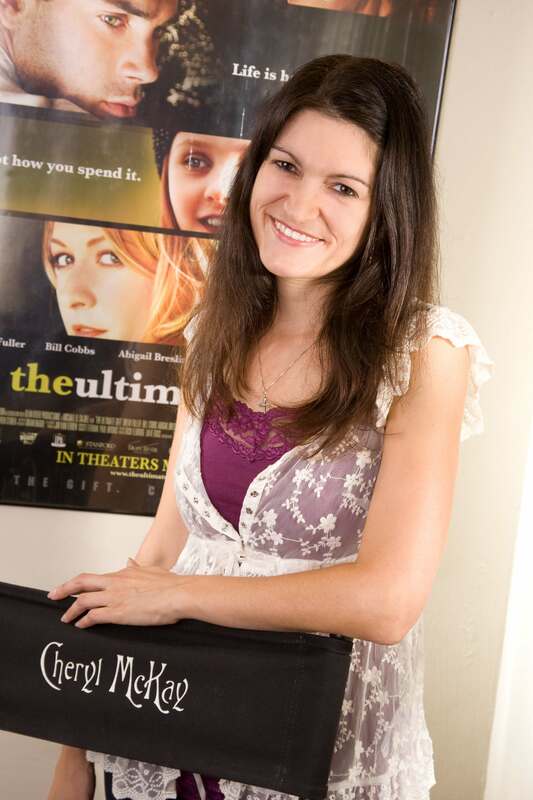 It started after I wrote The Ultimate Gift as a film, when she was hired to write a novelization of my script. After that, we teamed up on Never the Bride, a romantic comedy I had written as a script. We have an amazing working relationship and truly help each other to become better writers. Our new project, Greetings from the Flipside, started when I was a writing fellow in a program called Art Within. We had to pitch about 50 ideas to the company before they settled on the one I would write into a script for the fellowship. The first germ of this idea started with just four words: “Christian Greeting Card Company.” They asked me to develop a romantic comedy for that setting. That was in 2007. And here we are, six years later, watching the release of the novelized version of that same story. You never know how long it will take to see something from its beginning stages grow to some kind of fruition (whether that is a book or a movie). One of the most fun days for a writer is when that first official copy shows up on your doorstep. After months or years of labor, you get to see the final product. We’d love to hear from you! Rene and I have a joint page on Facebook. Look us up under Cheryl McKay & Rene Gutteridge or scroll down and like us from this page on the right. Special thanks to B&H Publishing, who believed in us and our story.